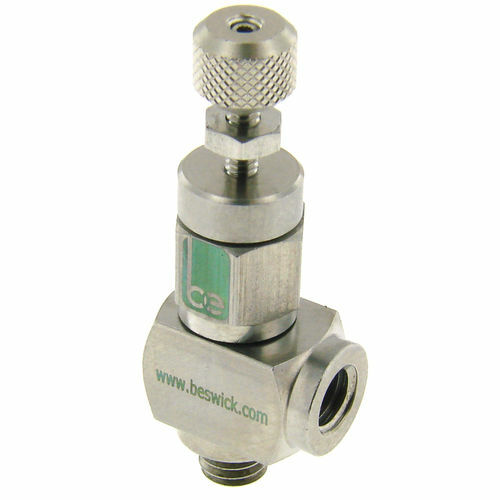 Needle valve / manual / flow control / metering - NV series - Beswick Engineering Co, Inc.
Hydraulics - Pneumatics > Valve > Needle valve > Beswick Engineering Co, Inc.
NV series Beswick Engineering Co, Inc. 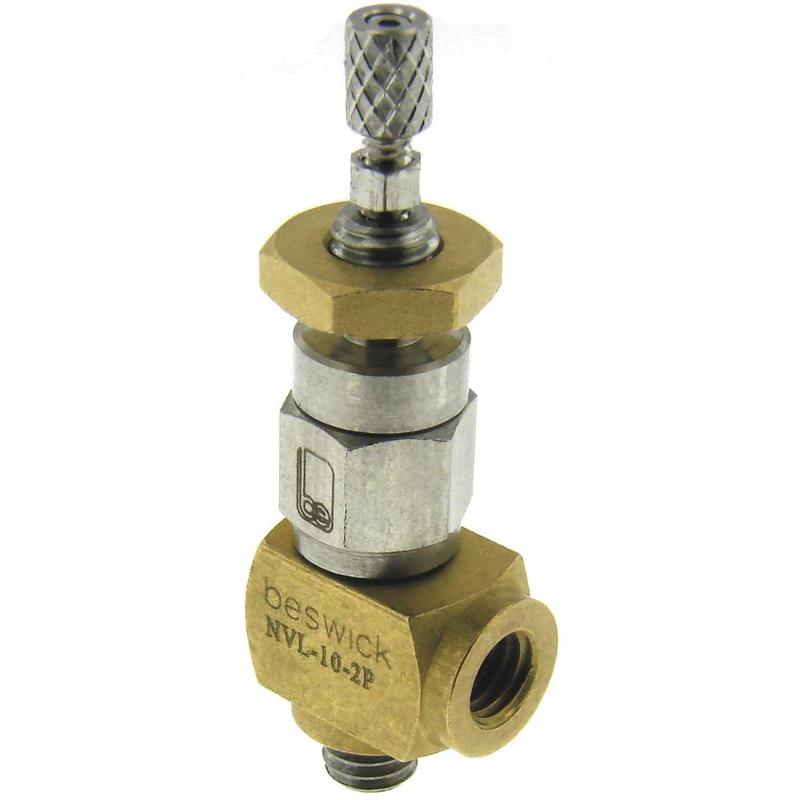 This needle valve comes with an adjustable orifice, which can be used to control flow rates, as well as timing circuits, filing heads, bleeding vents and various other applications. In addition to this, the adjusted flow remains stable even during temperature fluctuations, as the valve seat and the needle are manufactured from stainless steel. 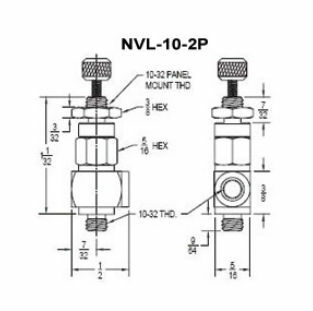 The working pressure range is NV rated for a maximum inlet pressure of 500psig. Also important to know, is that the metal-to-metal seal provides positive shut-off down to 25 in Hg, while the configuration is especially well suited for the control of low flow rates. 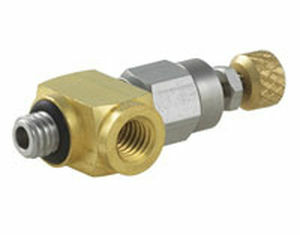 Next, the high flow needle is between 0" and 0.059", while all versions are equipped with a 2-56 threaded adjustment screw.